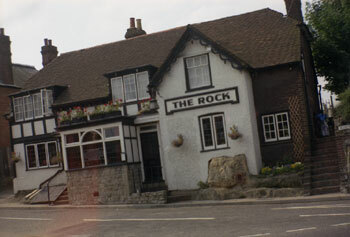 The Rock Tavern was a quite unique building, and not just because of its quirky architecture. 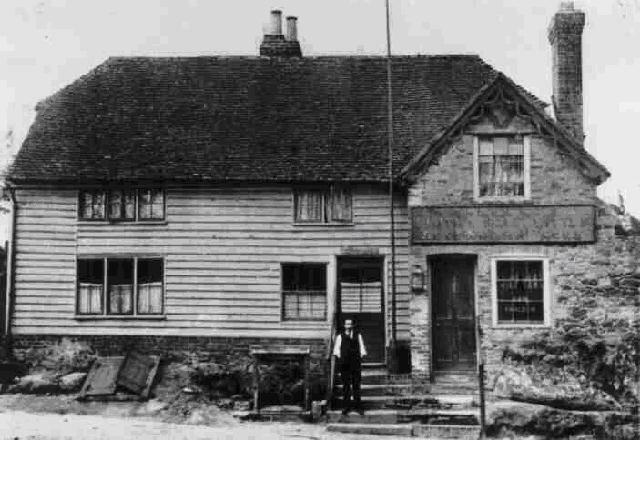 When it was built in 1841, they came upon a huge lump of Kent Ragstone, that was too big to be removed using the methods available to local builders in those days. So they simply built the walls straight over it. The rock is clearly visible in the pictures below, in the lower right hand, but it also stuck out into the bar. The older Garretts remember using the rock as a resting point when carrying sacks of scavenged coke from the Isle's Quarry ashpit, where the Sentinel steam wagons "raked out" the boiler at the end of each day. Local poverty meant that ashpit was a valuable source of unburnt fuel. 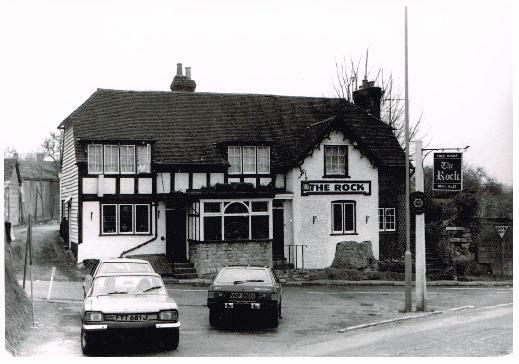 So the Rock Tavern was an important element in the social fabric of early Borough Green. 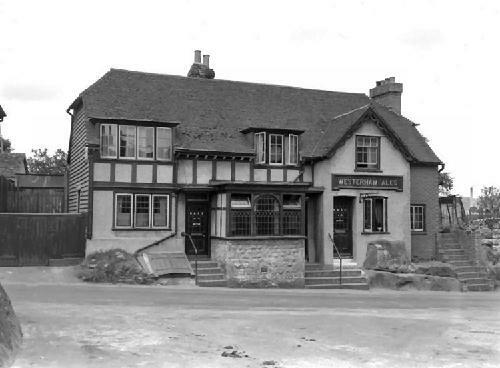 We don't have a lot of history, Borough Green did not exist as a seperate village until 1934. 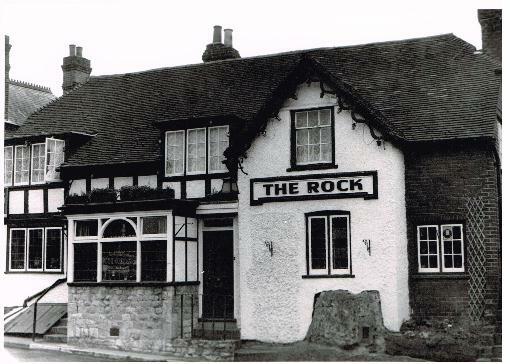 But historical importance did not weigh heavy on the members of the Parish Council in 1991, when permission was granted to demolish the Rock and replace it with the small Tavern Close estate. We have always had a desperate need for more housing, but the estate could have been built behind the Rock, saving the building. We have seen how sensitive redevelopment at the Red Lion both provided housing and preserved another important building. But I would hazard a guess that those who made that long ago decision were newcomers who had moved into all the new private estates, and who had no innate sense of our history, nor any wish to preserve it. In 2017 the Parish Council commemorated the Rock Tavern when building the new Quarry Hill planter, with an uncut lump of ragstone, and a plaque. 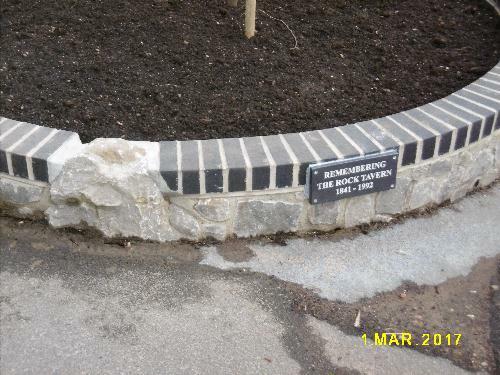 But the important place to remember the Rock Tavern is on the site it stood, and there is a low wall outside the estate, retaining a public flower bed- the ideal site for a plaque. Several residents were grateful for the explanations of how Tavern Close and Rock Rd got their names.